Pick a team of MLB Home Run hitters and track their total home runs throughout the season. 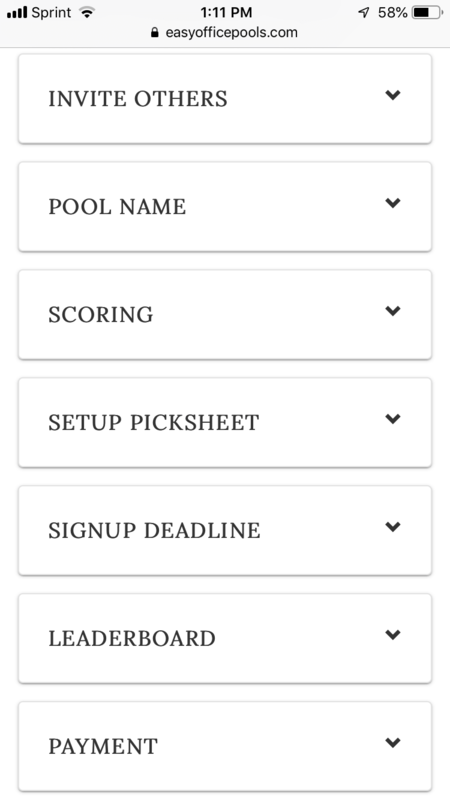 Save time managing your Home Runs Pool online with our automatic scoring and configurable setup options. Refresh the scoreboard as home runs get hit. Your poolies pick their team of sluggers online. More scoring options, filtered by month. The object of the game is to have the roster with the most home runs. Everyone picks a team of current MLB players that makes up their team total number of home runs during the regular season. 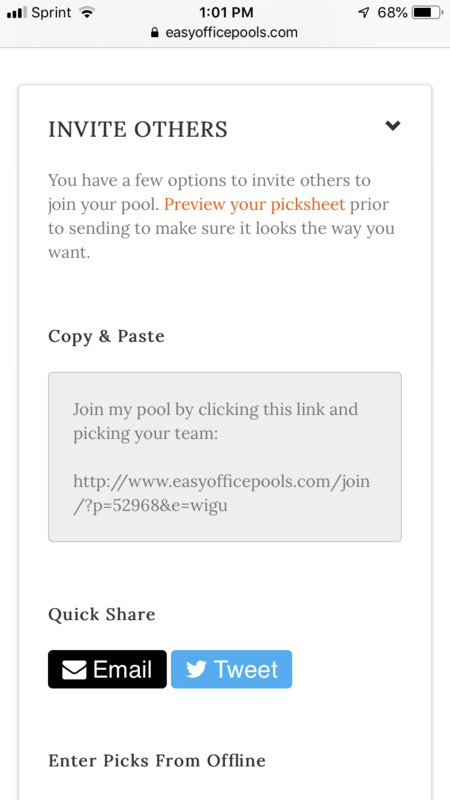 As the admin of the pool, you create a picksheet for your players to choose from. We provide a spreadsheet below with a 5 tier format if you do not want to customize. This is also the default setup of your picksheet if you build it online. Whatever roster has the most home runs collectively at the end of the MLB Season Wins. You can optionally award the roster each month, week, or day that had the most home runs for that time period. In order to account for possible injuries, you have the option to exclude the poorest home run sluggers on everyone’s rosters. For example, you could exclude the bottom 5 if you are choosing 14 total players as mentioned above. This helps eliminate the need for lineup maintenance throughout the season. Our website updates as home runs are hit each day. Picksheet Setup – choose how you want people to make their slugger selections. For example, choose any slugger you want or pick from groups of similarly ranked sluggers. # sluggers to count – choose all sluggers count towards each team’s score, or only count the best sluggers from each roster. For example, if everyone chooses 6 sluggers total you can choose to only count the best 4. Cost is $20 for the season. 2019 Home Runs Pools are now available to setup. Home runs will start tracking once the first regular season game begins. Use the example picksheet provided below to collect entries to your pool. Customize this by rearranging sluggers into different groupings if you like. Send us an email if you have any questions about this pool. The red Sox game the other night was canceled and game didn’t count so Betts and Martinez’s home runs didn’t count and they haven’t been adjusted on our site. Sean, the pool that we do, we have 15 teams that have 8 home run hitters apiece. We use the top 5 hr hitters in week 1, then the top 5 hr hitters from week 2, then combine the 2 week total for the 2 week total, then total all 13- (2 week totals) to have a final season total. Would you be able to do this type of format? You can track week by week but we don’t have a way to combine the totals from both weeks, unfortunately. Do you have the template in an a format where I can edit it like excel? The pool I run has awards for most home runs each month as well as a total for the whole season. Will we be able to track both? Hi Derek – Yes we can track both. There is a filter on your leaderboard to track by total season, month, week, or day. Our league allows for two substitutions throughout the year. If a player were to get hurt, we can drop him and add another player and his home runs count from that day forward. Are you able to swap players and only count home runs from the time that they were active on your team? Hi Kyle- With our Home runs format we only track home runs for the total season, not a custom date range like your format. We will add it to the request list for future development. Hi Sean, can we manipulate the players wherein we can say – for example – pick any 10 players, but their total home runs cannot exceed 175? In that case, two (or more) players could be selected from Groups 1 and 2? Thanks!! Hi Lisa – For our Home Runs Pools, the picks are managed offline, so you are free to enforce any restrictions you like. Then you have to enter everyone’s picks in our system so that the home runs will track automatically as home runs are hit each day. Every day throughout the season we update the standings many times each day. If a player is traded, does your tracking reset the player to zero home runs? Will you be doing MLB playoff pools? Home run or bracket style. Hi Sam – We don’t have anything set in stone currently, but may offer a weighted bracket format where you assign each team a weight and get that number of points for each win they get. Did you have a specific format you were hoping for?